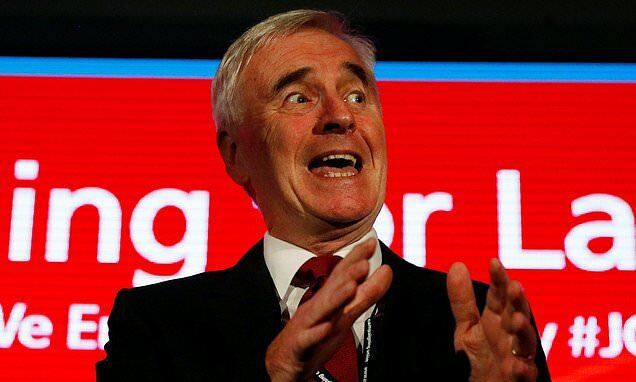 One of Labour’s first policy announcements at its party conference in Liverpool was a pledge by shadow chancellor John McDonnell to renationalise the railways. Superficially, at least, the change might appeal to long-suffering commuters tired of late-running and cancelled trains which are the most expensive in Europe. But the commuters whose lives have been made a misery by striking rail workers should not be deluded by Labour’s protestations of concern for them. Speaking after McDonnell today in the economic debate is the well-heeled barrister John Hendy — whose clients include the RMT, the militant rail union behind the industrial action that’s brought our railways to a halt. Hendy has a long history of working for the unions, having helped Arthur Scargill by acting for the National Union of Mineworkers in all their civil cases during their strike in the Thatcher years. As chairman of the Institute of Employment Rights, Hendy has advocated repealing all trade union laws and allowing secondary picketing. McDonnell proclaimed earlier this month that Hendy’s ideas would be a blueprint for Labour policy. Commuters have been warned — renationalised or not, our railways will suffer more union thuggery under Labour. Emily Thornberry, Labour’s shadow foreign secretary and Islington neighbour of Comrade Corbyn, is earning a reputation as a risque cabaret act, according to the New Statesman.